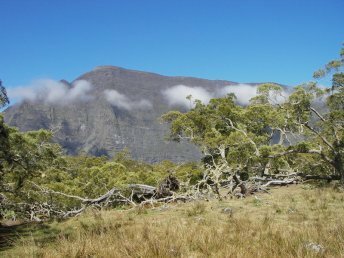 The complete crossing of the Cirque of Mafate, this loop is a true change of scenery. We’ll explore all the îlets (hamlets set on altitude plateaux) of the cirque. We’ll cross the Rivière des Galets (main river of the cirque) several times, with a few opportunities for swimming. We’ll climb two passes, offering superb points of view over the Salazie and Cilaos cirques. Last but not least, the authentic creole cuisine of the lodges is sure to delight us. D1 – After a short bus transfer along the road leading to Ilet à Cordes, start of our ascent to the Col du Taïbit (pass) on the crest between the Cilaos and Mafate cirques. Short but steep descent towards the hamlet of Marla. Dinner and night in a lodge in Marla. D2 – Hike to Roche Plate, via the mythical Trois Roches site. A waterfall of more than 50 m in a narrow gorge. Picnic and nap near the river. Dinner and night in a lodge in Roche Plate. 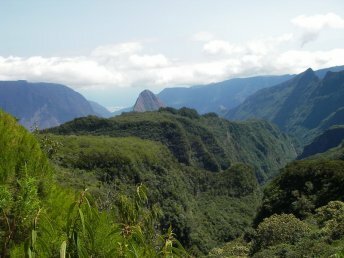 D3 – Hike to Grand-Place in the “Lowlands” of Mafate, via the îlet of Les Orangers. Stunning points of view on the Cirque of Mafate. Dinner and night in a lodge in Grand-Place. 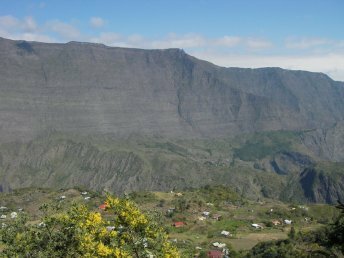 D4 – A loop in the loop, we go for a round of the hamlets of the “Mafate Lowlands”; Aurère, Ilet à Malheur and finally Ilet à Bourse. Aerial sensation on the footbridge crossing the Bras d’Oussy gorges. Dinner and night in a lodge Ilet à Bourse. D5 – Long hike towards La Nouvelle. 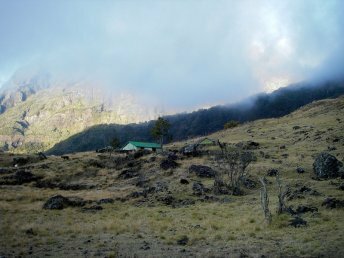 After a quick incursion in the Cirque of Salazie, we are back in Mafate via the Col de Fourche at 2000 m. We walk through lovely tropical rainforests and the Plaine des Tamarins, with its enchanting atmosphere. Dinner and night in a lodge in La Nouvelle. D6 – This last part of our trek takes us back to Marla, for the Col du Taïbit ascent. We then head back to Cilaos.